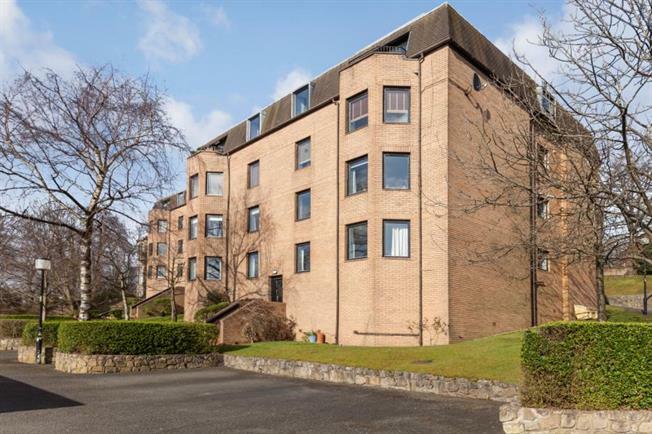 3 Bedroom Ground Floor Flat For Sale in Glasgow for Offers Over £255,000. Situated in a beautiful, quiet, tree-lined road within the heart of the west end, this spacious 4 apartment, ground floor, 3 double bedroom flat has been freshly decorated and re-carpeted to offer a bright and stylish South facing interior. The accommodation comprises secured entry, communal carpeted entrance hall with half landing leading to; reception hallway with storage off. The bright and spacious principal lounge, enjoys far reaching panoramic southerly views over the city. The inner hallway gives access to the kitchen , three double bedrooms and bathroom. The master bedroom has a useful en-suite toilet and built in bedroom furniture. The second double bedroom has a bay window overlooking the front of the property. The third double bedroom enjoys a South facing aspect. In addition the property has gas central heating and double glazing.. Finally the property has beautiful well-tended communal landscaped garden grounds, private residents' parking and a single garage. Viewing is essential to avoid disappointment. The property is well placed for all local amenities on Hyndland Road and Byres Road including shops, bars, bistros, restaurants and public transport services. The property lies close to several local schools, hospital and university. There are good road links to the City Centre and M8 Motorway Network.